Norris was the Executive Director of The Charlottesville Institute from 2012-2013. The organization is now defunct. Norris was the Executive Director of Big Brothers Big Sisters of the Central Blue Ridge until June 2011. Norris has been employed as Executive Director of PACEM, the Associate Director of Madison House, the Interim Director of PHAR (the Public Housing Association of Residents, and the former Chairman of the Charlottesville Redevelopment and Housing Authority Board of Commissioners. Norris lives in Charlottesville and has three children: Eli, Chloe, and Ben. 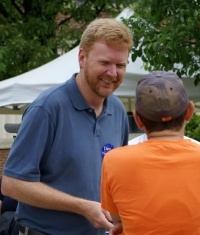 Norris was first elected to Charlottesville City Council in 2006 and reelected in 2009. Council elected him to a second term as Mayor at their first meeting in 2010. Norris announced in late January 2013 that he would not seek a third term to Council. In 2011 and 2012, Norris represented the City on the Planning and Coordination Council and the Charlottesville Redevelopment and Housing Authority. However, he was removed from the CRHA committee in January 2013. The 2006 City Council election was Norris' first as a candidate. In the 2009 election cycle Norris was the top vote-getter in the Charlottesville's Democratic Party's "unassembled caucus" held May 9, 2009. Kristin Szakos beat out incumbent Julian Taliaferro as the party's second nominee. On Friday, September 25th, The Sierra Club endorsed Norris along with independent opponent Bob Fenwick. Norris has a collection of local Vintage Postcards. 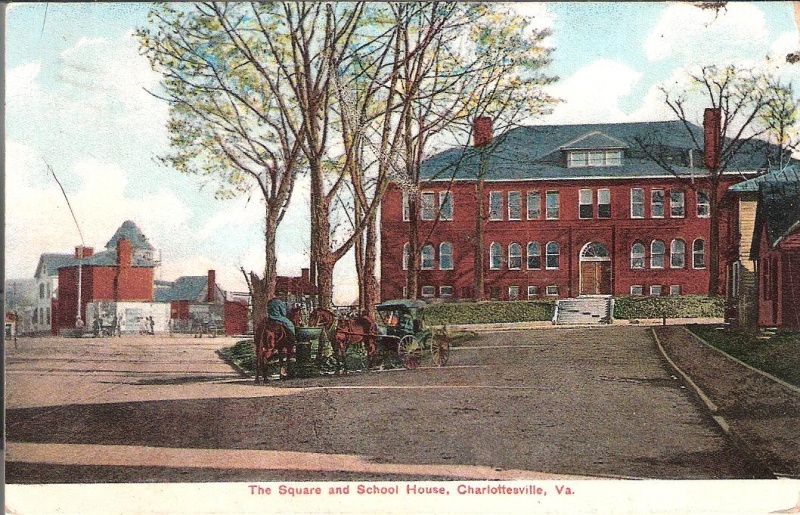 "...a circa-1909, pre-Sacagawea, Lewis and Clark Statue image of the intersection of Ridge and Main Streets, featuring the old Midway High School (where Midway Manor now stands)"
For his extensive record of leadership and service to the Charlottesville community, Dave was named one of the "Distinguished Dozen" by the Charlottesville Daily Progress for 2005. He is also the founder of the Charlottesville Vegetarian Festival. Norris was hired as executive director of the Charlottesville Parking Center in March 2016. He said the lawsuit against the city filed by the CPC earlier that month was a "bump in the road" and he hoped it would be resolved before he began work in June. It was not. ↑ Web. Charlottesville Parking Center Announces Appointment of Former Mayor Dave Norris as General Manager, Press Release, Charlottesville Parking Center, March 28, 2016, retrieved January 1, 2017. ↑ Web. Charlottesville Institute for University-Community Engagement, Charlottesville Institute for University-Community Engagement, retrieved 8 Feb 2012. ↑ Web. The Charlottesville Institute, retrieved June 28, 2012. ↑ Web. Thanks for visiting!, 13 December 2013, retrieved 13 December 2013. ↑ Web. Norris named chief of mentoring program, Daily Progress, World Media Enterprises, 24 Sept. 2009, retrieved 24 Sept. 2009. ↑ Web. Big Brothers Big Sisters of the Central Blue Ridge - Staff, Big Brothers Big Sisters of the Central Blue Ridge, retrieved 30 March 2011. ↑ Web. Huja brings commitment to quality design to mayor's role, Graham Moomaw, Daily Progress, World Media Enterprises, January 17, 2012, retrieved January 17, 2012. ↑ Web. Norris stays on as mayor, Dixit, Rachana, Daily Progress, World Media Enterprises, 05 Jan. 2010., retrieved 06 Jan. 2010. ↑ Web. Norris will not seek third term on Charlottesville City Council, Brian Wheeler, Charlottesville Tomorrow, January 28, 2013, retrieved January 29, 2013. ↑ Web. MPO discusses Eastern Connector, Brian Wheeler, July 22, 2006, retrieved November 18, 2013. ↑ Charlottesville City Council Meeting. City Hall, Charlottesville. 7 February 2011. Public Meeting. ↑ Web. HUD report criticizes foundering, divided housing authority, Graelyn Brashear, C-VILLE Weekly, Portico Publications, 19 Mar 2013, retrieved 9 July 2013. ↑ Web. Cville Dave, Dave Norris, August 24, 2008, retrieved April 18, 2012. ↑ Web. City pushes back on parking company’s hiring of Norris, Sean Tubbs, News Article, Charlottesville Tomorrow, April 4, 2016, retrieved January 2, 2017. Appearance on Feb. 23, 2011 edition of WINA's Charlottesville--Right Now! This page was last edited on 2 January 2017, at 11:27.